For common, occasional aches and pain, an over-the-counter oral medication often does the trick. But experts warn people with chronic, ongoing pain to avoid long-term use of common remedies such as Tylenol® or non-steroidal anti-inflammatory medications (NSAIDs), including aspirin, ibuprofen, Aleve® and Advil®. 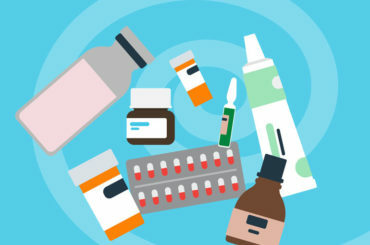 Hong Shen, MD, a pain management specialist at Cleveland Clinic, cautions that using these medications long-term can harm your health, especially if you are older or have other medical conditions. “People should use these over-the-counter medications for short-term relief only,” says Dr. Shen. She says that over a long period of time, these medications can damage the liver and kidneys, increase the risk of heart attack or stroke, and cause stomach ulcers or bleeding. They also can cause serious problems for people taking other drugs. For example, if you take over-the-counter NSAIDs with blood thinners, excessive bleeding can result. Topical pain killers include sprays, patches and creams that you can apply over painful muscles or joints. These remedies often provide a mild burning or cooling sensation, which feels good and helps to distract us from feeling pain. These items often include menthol, camphor, salicylates or capsaicin, which all can penetrate through the skin to relieve the pain. Dr. Shen says these topical medications are safer than oral medications.